A seed pearl is generally defined as a small natural pearl, usually measuring less than 2mm in diameter. Although their early definition stated that they must ‘weigh less than quarter of a grain’. 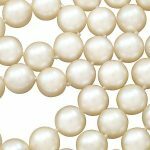 Nowadays, seed pearls are often only created accidentally by pearl farmers who are attempting to grow larger cultivated pearls. 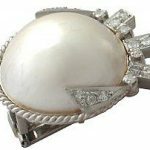 However, one benefit of purchasing antique jewellery is that the pearls within these pieces will almost certainly be natural seed pearls. Seed pearls are formed when a foreign object enters the oyster, or when the shell is damaged or compromised. The oyster then protects itself by coating the broken shell in nacre. A similar, man-made, process is undergone with pearl farming and cultivated pearls. Seed pearls are unlike any other type of pearls; the most notable difference being the diminutive size of seed pearls. Their size means that they are often used as decoration within brooches and pendants. 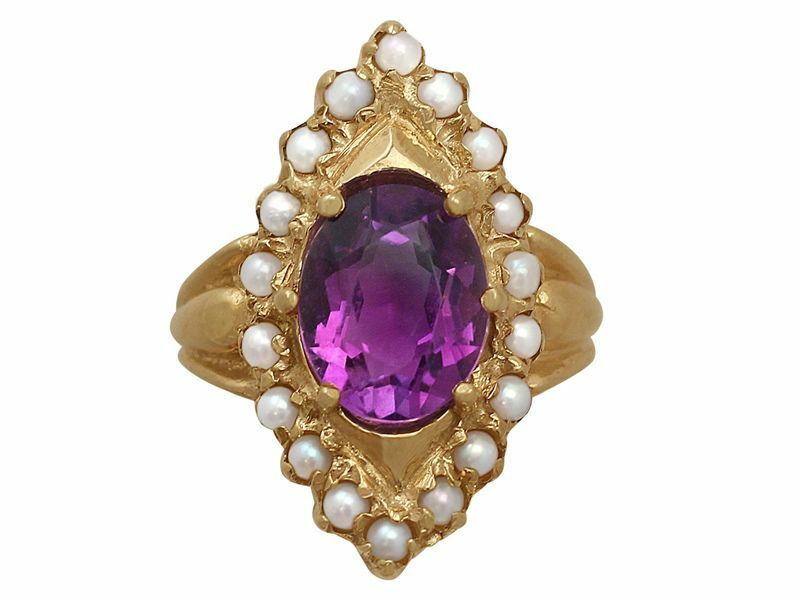 They were particularly popular in Victorian jewellery, as were pearls generally. Pearls were often used in mourning jewellery, and are said to represent the tears of the mourning loved ones of the deceased. 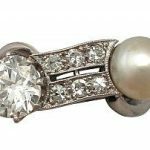 Seed pearls also became a fashionable bridal gift, as the pearls had an association with purity, chastity and delicacy. Seed pearls proved popular when heavy lace and intricate detailing came into fashion. This style complemented the appearance of seed pearls perfectly. Sewn together tightly, these tiny pearls were the perfect accessory to flamboyant and heavy dresses. Seed pearl jewellery became so large and extravagant that metal supports were sometimes added to the back of the pieces. Creating jewellery featuring seed pearls required a high level of skill, so as not to crush or break the delicate pearls. 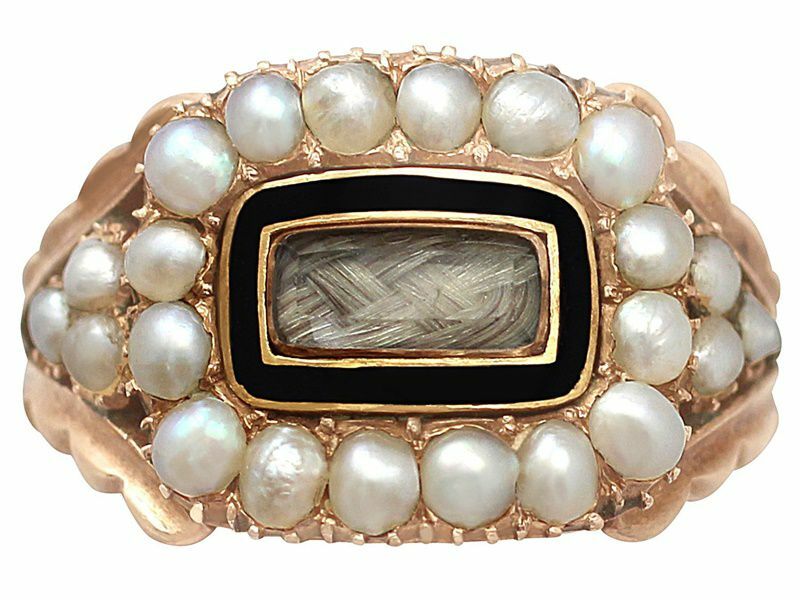 Furthermore these tiny pearls were sewn onto horsehair or silk; this made the work of creating pieces of jewellery featuring seed pearls incredibly difficult. This work was known as a ‘cottage industry’ during the nineteenth century. This was because it was work carried out by dexterous seamstresses and makers within their own homes. Seed pearls also provide the perfect accent to larger gemstones. 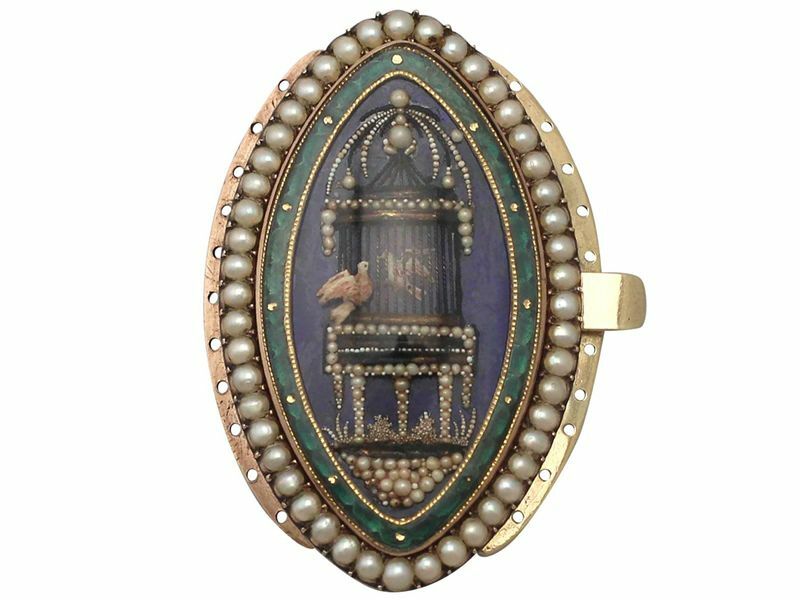 This is showcased with many of the pieces of Victorian jewellery which we are able to offer to our customers. 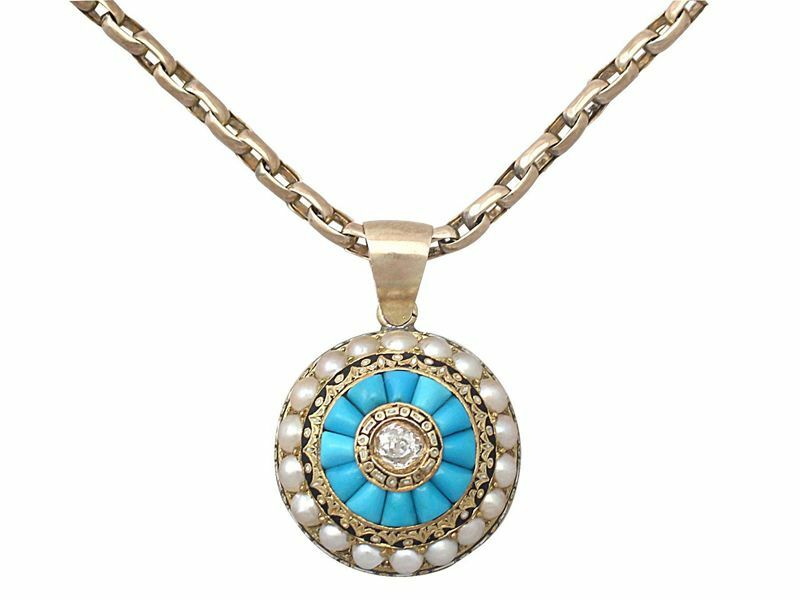 The items of jewellery which most commonly feature these delicate embellishments are brooches, seed pearl necklaces and seed pearl rings. Seed pearls require the same care as all pearls, and are more delicate than gemstones because they are natural and made of organic material. With all pearls, it is important to avoid contact with perfumes and oils which will affect the lustre and quality of the pearl. 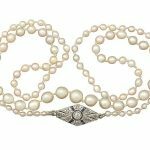 It is recommended that you try to avoid touching seed pearls with your fingers, as the oils which we carry on our hands will transfer on to the pearls and could cause damage. Running a clean, soft cloth over them after use will help to maintain them and remove as much of this natural oil as possible. Seed pearls are wonderful additions to any item of jewellery. 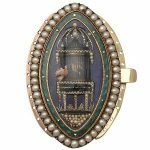 They offer an extra dimension of decoration, as well as having a fascinating history within fashion in the Victorian era and beyond. Previous Entry: What is a Jardinière?